The irony is not lost on me that I write tonight in celebration of ONE YEAR officially HOME-HOME, from a hotel room... in Rochester. I mean of course that would be how this shakes out. Last year, October 24th, 2017 was the first night Finn slept in his own crib in over 200 days. I remember it so vividly. Some days, on the hardest days, I think of how terrible this life is. But then I stop myself and I think back to the happiness I possessed that day. My family was finally together at our house the way it should be. 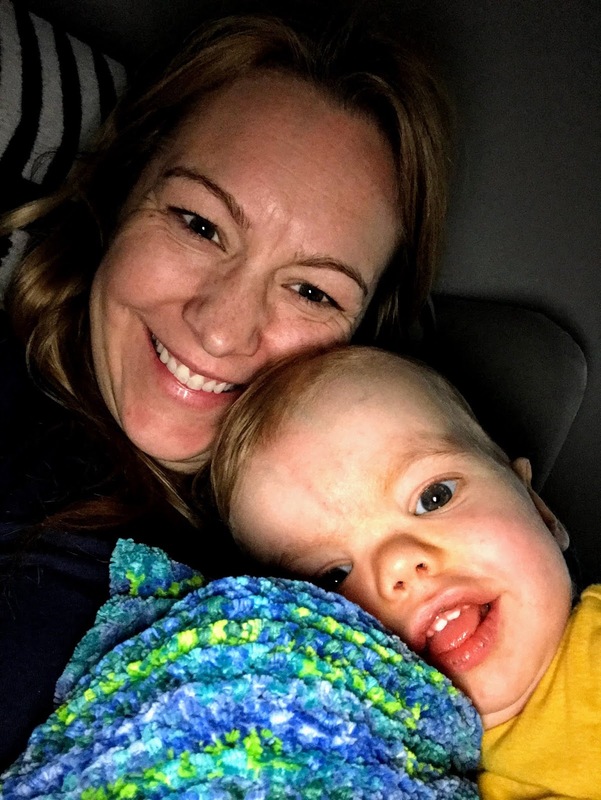 Finn was on 24 hour continuous feeds of disgusting Monogen formula (due to lymphatic issues) straight into his small intestine. He was on 17 medications around the clock and had to be connected to an IV pole and extension to "vent" his stomach all day long. He wore oxygen at night, had a central line tunneled directly into his heart and couldn't even lift his arms, hold his head or roll over. Finn didn't make a sound but still had a subtle smile that told me he was happy to be home. Last night we went to the pediatrician for a well child check. This was the first time Finn has been to the doctor for something "normal" in his entire 21.5 months earth-side. How bizarre is that? I almost forgot what they do at doctors appointments when you aren't adjusting meds, discussing issues, treating illnesses or having contentious plan of care conversations. 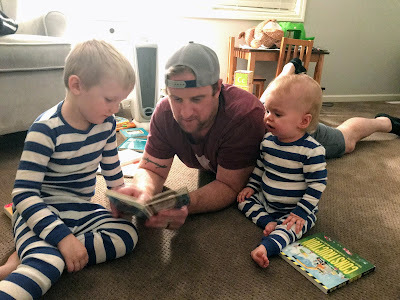 The boys were rambunctious and whiny, it was late and we were all hungry but I was just happy to be dealing with normal parenting problems. My perspective has sure changed in the last 12 months. I thought about writing on October 13th. It's a significant day in our family and an important one to honor, however this year on the day that we should've been celebrating another Mayo mother was saying goodbye to her daughter for the last time. 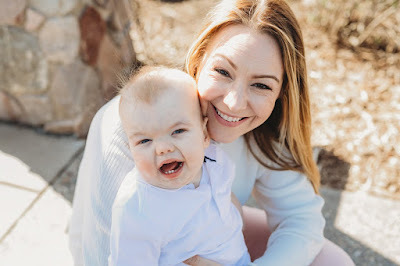 Her sweet baby was not quite 7 weeks old and had fought every moment of her being just to lose her battle with CHD. There was no way I could write or boast about our 1 year free of MB5B. I also knew that the very nurse that walked us off that unit was the one that was in the sweet baby girl's room that day. Instead of writing about my gratitude I hugged my children extra tight. I cried, a lot, both tears of sadness for my new mama friend but also tears of happiness that our fate was different. I don't know if I will ever be able to handle all of these emotions that Finn has blessed and cursed me with but I am trying my best. Since May, Finn has really grown into himself personality wise. He knows what he likes and doesn't and has no qualms about showing or telling you. He hasn't taken off on the crawling, walking, eating or talking quite yet but you can see the desire to figure it out. Finn has started scooting about the house in his walker and on his booty and really enjoys the autonomy that movement gets him. His OT and PT team continues to be impressed week over week with his progress and I know a lot of that is thanks to the wonderful nurses he has to play with him during the day. He's tiny but his personality is not reflected in his stature. Each night we read the same books, despite my best negotiating tactics, a trait I remember well in Asher when he was about the same age. Speaking of Asher, there is nothing more hilarious, beautiful and special than the bond these two brothers have. It's almost as if they have their own play language. 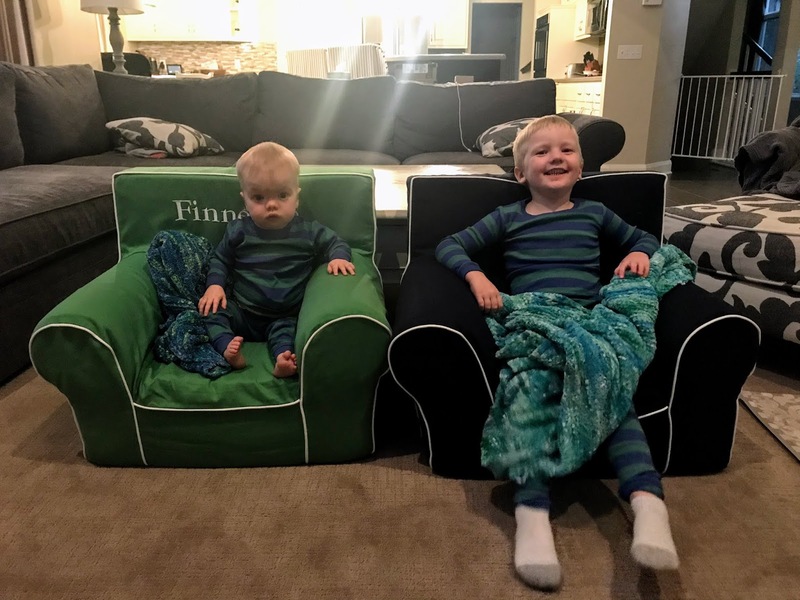 Asher can make Finn laugh like no one else and Finn pesters his brother just like you would expect. Pulling his hair, trying to bite him and pushing him off my lap when he doesn't want to share space. I love watching their relationship grow. What hurts the most is when Asher says to me "mommy, will Finn ever be able to run with me or talk?" Or when my dear friend sends a video of her two boys (one transplant, one heart healthy) dancing in her kitchen and he says "I wish Finn could do that." A little piece of my heart breaks, but I pick it up glue it back together and remember who my son is. 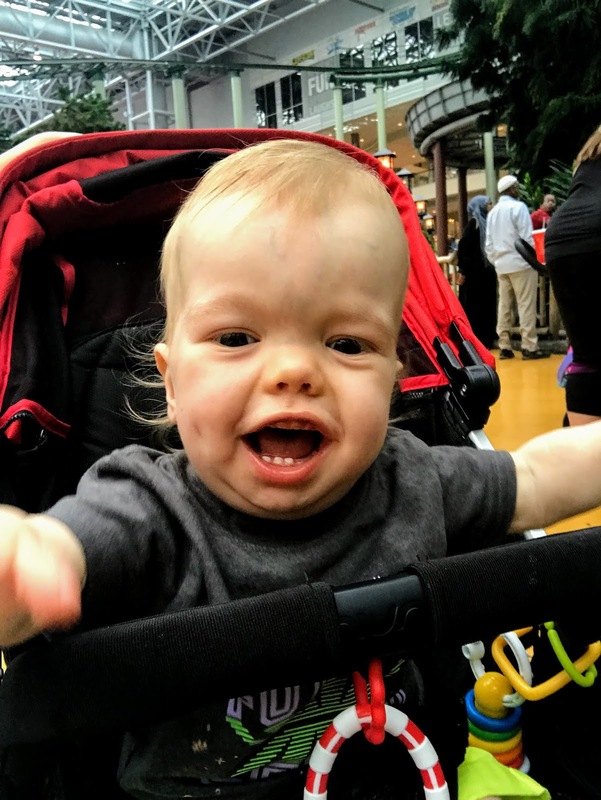 If he can survive 78 days on ECMO, rejection, infections, death and more then he will probably learn to walk, talk and dance party like no one will ever believe. When it comes to Finn's health he is mostly good. Well, his heart is great (knocks on all the wood in the hotel room). I've always been warned that it's not the heart that really gets these kids down, rather the side effects of the immune suppression therapy. "They" were right. As much as Finn's heart has barely had a hiccup (more wood please) since discharge, we've still suffered from a host of other issues. 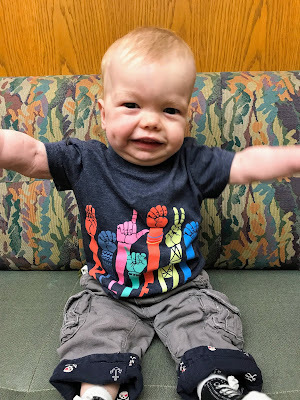 Since April Finn has been neutropenic, which essentially means his white blood cells, specifically the ones that fight infection, are too low. Like dangerously, life threateningly low. You see, some of the medications he is on are meant to drive that number down, to a "reasonably low" level. Enough so his immune system doesn't find the heart, but not so much that he has no immune system at all. Whoops! We haven't been able to stabilize these numbers regardless of taking him off the med that caused it. That means that the smallest illness could knock him over and even kill him. So, if he gets so much as a low grade fever we are directly to go to the ER and be admitted for IV antibiotics. Not only do the meds affect his WBC counts, but they are also extremely hard on the kidneys. At our annual visit I was told that Finn's numbers are pretty rough. He's not in kidney failure, but if we don't do something about it, he will likely be. Which means dialysis and eventually a - you guessed it - transplant. Now, I know that was a risk when we went into this but I thought it would at least be a few years down the line before the "T" word would be brought up to me again. We are just starting to get the swing of this life at home thing, please don't throw that word around as if it's NBD. With all of the changes that have come about over the last 365+ days we have reduced Finn's drug list significantly. We were discharged on 17 medications administered every 4 hours around the clock to now just 4 meds twice a day, at 8 AM and 4 meds at 8 PM (plus a multivitamin and iron supplement). How manageable is that? Part of the reason we are down here is to look at Finn's heart now that one of his kidney and WBC destroying meds (Tacro) is no longer on that list (as of 5 days ago). It gives me tremendous amount of anxiety and hope. Tomorrow we will find out a few important life impacting things. 1.) Is the new medication working to save Finn's heart from himself. Fingers crossed for no rejection. 2.) Are is his kidneys recovering now without said med? And 3.) Are his WBC counts rebounding so that we won't be forced to give him daily injections of bone marrow stimulants with 3 to 4 time weekly blood draws. This med change has no pressure at all, huh Dr. Johnson? For now I am trying to be mindful of how good we do have it. I get to read him the same book over and over and over again at bedtime and wake up with him when he cries in the middle of the night. I get to take him to Mayo for the longest day of appointments ever. I get to argue with doctors and specialists about his care. I get to be exhausted with his special needs. Because tonight, and for the last year straight, I get to tuck my baby into his own bed.